Pudina or Mint is from the Lamiaceae or Labiatae family of plants. 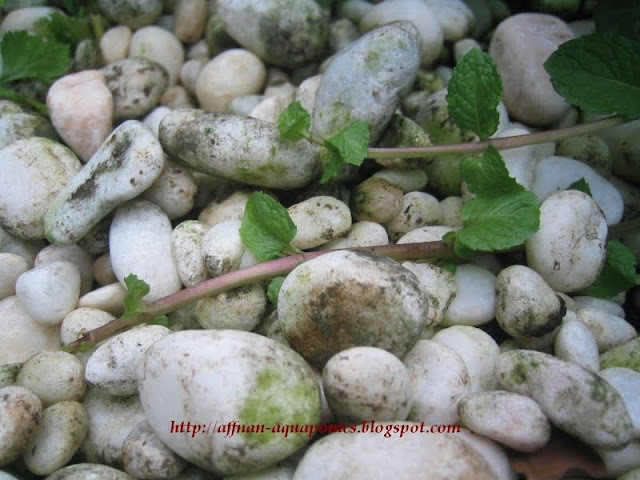 There are many variety of this plants the more common in this part of the world is this Mint. 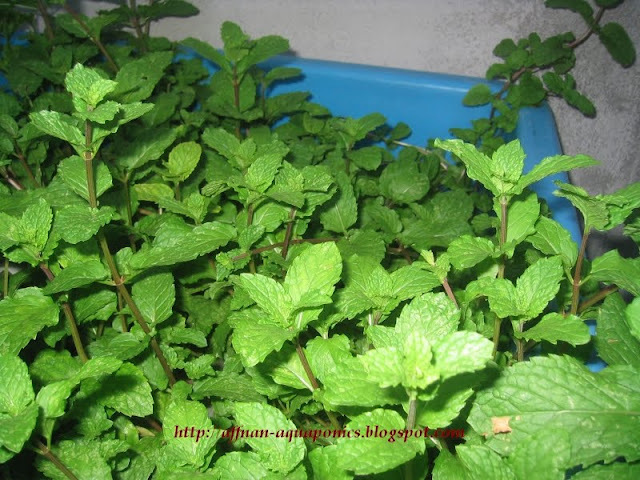 Use as flavoring in Asam Laksa and Mint Tea, it give aromatic flavor to the dishes. 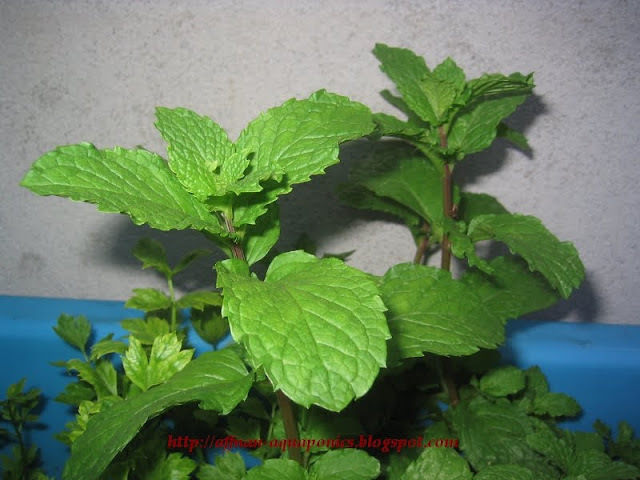 Mint traditionally is use as Medicinal herb for treatment cough. Eaten raw its good for health since most herb has antioxidant properties, in its simplest form eaten raw its just kill body odor. 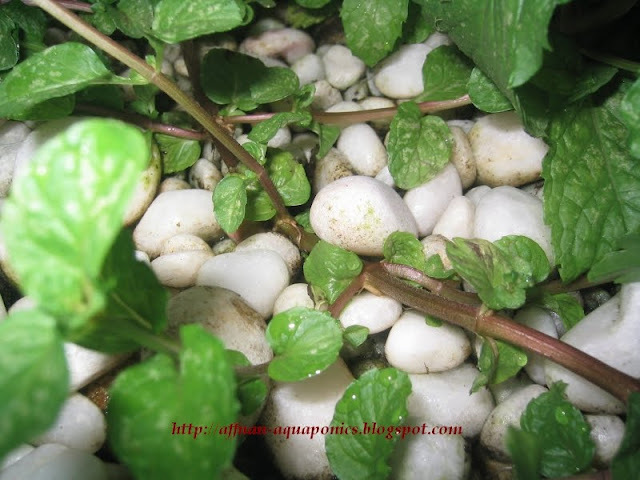 Mint must be one of the easiest to grow in Aquaponics and a useful herb to have for kitchen garden. It grown from cuttings and spread easily through out the growbed. Brownish Soft Stem and creeping on the growbed to take root is common feature of this plant. They need lots of light however during initial planting its best to provide shading to prevent damage due to excessive heat. New shoots spread horizontally to claim space in growbed. During initial stage of growbed conditioning its best to grow mint since its easiest to do and failure rate is almost nil. If you cannot plant Mint then forget it,, you can't grow anything.. Cheers.